It’s here. 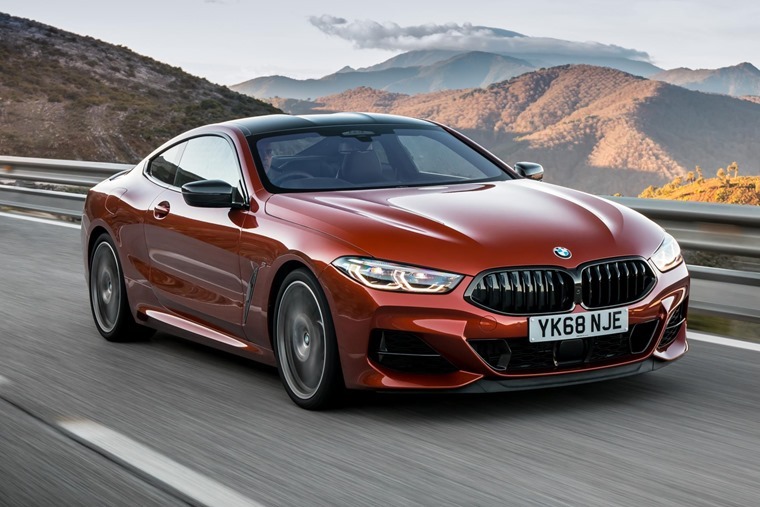 The new BMW 8 Series Coupe is now available in the UK. With on the road prices starting at £76,270, you can find lease deals by clicking here, or read on for all the info on this new model. With the number 8 reserved for sporty cars that also fire the emotions, such as the BMW Z8 and also with the current BMW i8, the primary objective for the new BMW 8 Series was thrilling driving dynamics. Body, powertrain and suspension were consistently honed to achieve the best agility, precision and poise expected of a top-class sports car. This extends to the exterior which exudes sporting appeal and a new styling language which emphasises the character of the car with greater intensity than on any of the brand’s previous models. Its low-slung design has an elongated silhouette with a slim window graphic and a roofline flowing elegantly into the powerfully shaped rear with distinctive “double-bubble” contours. 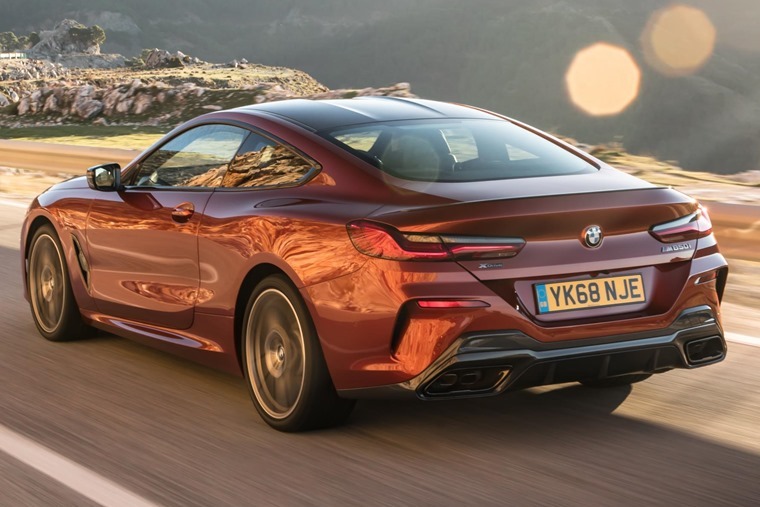 With exterior dimensions of 4,843mm in length, 1,902mm in width, 1,341mm in height and a wheelbase of 2,822mm, the two-door coupe has a powerful stance on the road. Things gets really exciting under the bonnet though. Two engines will be available at launch – one diesel-badged 840d and one petrol badged M850i. A new V8 engine with incredible power and acoustics featured at the #LeMans24 Race. 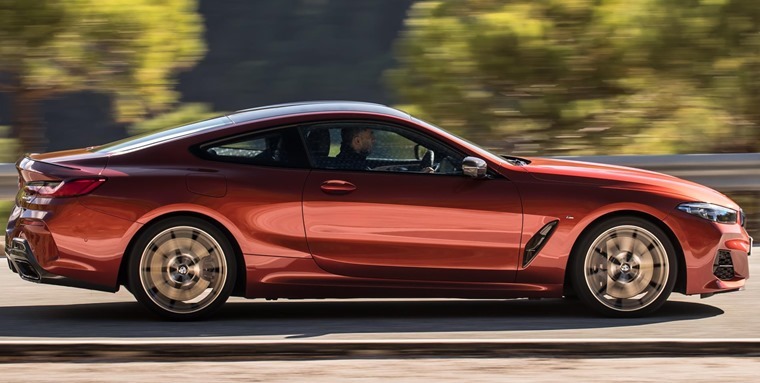 The 840d features a 3.0-litre six-cylinder engine developing 320bhp and 680Nm of torque while the M850i is powered by a 4.4-litre twin-turbo V8 offering 530bhp and 700Nm of torque. Both feature BMW’s xDrive adaptive all-wheel drive system and an eight-speed automatic gearbox as standard. Average fuel consumption comes in at a frugal 46.3mpg, equating to CO2 emissions of 160g/km for the six-cylinder diesel. To increase efficiency, all of the torque is directed to the rear wheels in situations in which all-wheel drive is not needed. 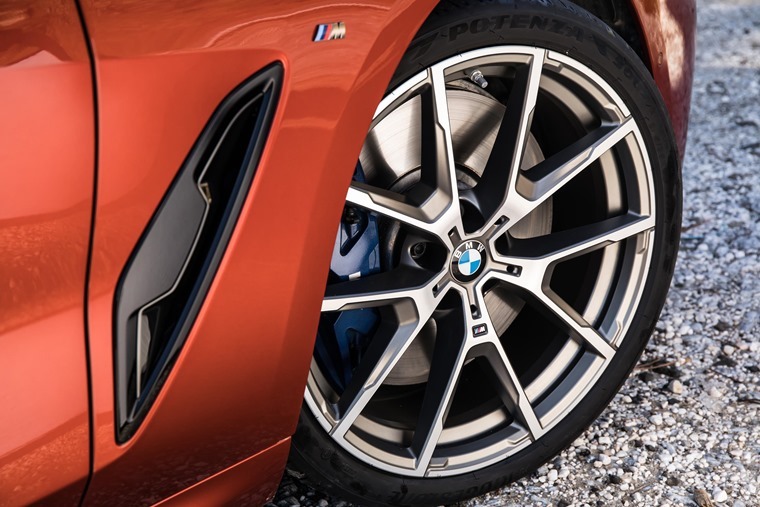 The rear-biased set-up, which is even notable in challenging driving situations, guarantees the sort of driving experience for which BMW sports cars are renowned. 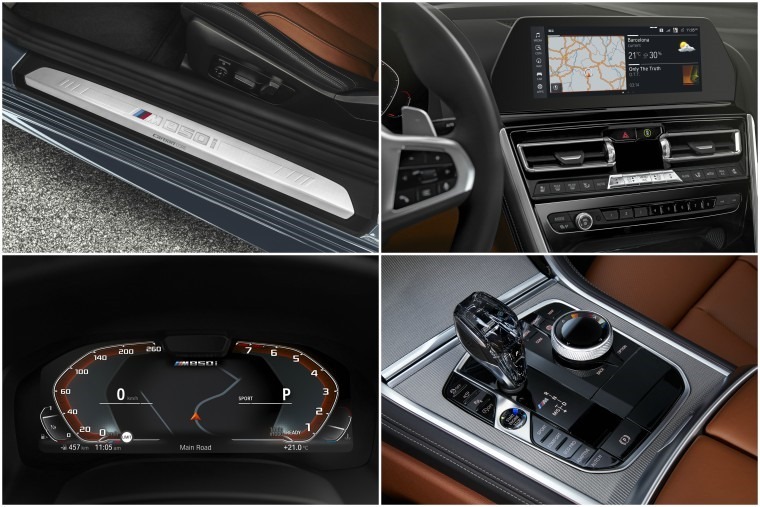 On the inside the 8 Series will be the first BMW to feature the new generation of iDrive infotainment. With a 10.25in display on the dash, the infotainment will still be controlled by the iDrive controller on the centre console, but crucially you can also use touch, voice or gesture control to operate it too. As you would expect, it comes with a host of equipment as standard such as a full leather interior, LED headlamps, a Bowers & Wilkins stereo, 19-inch alloy wheels and adaptive cruise control. The backrest sections can be folded down either individually or together in order to further increase the load capacity of the 420-litre luggage compartment. Priced from £76,270 OTR for the 840d rising to £100,045 for the M850i, lease deals are available now.